Don't Just Play Fantasy Football... Dominate! Using advanced and cutting edge indicators, which include Red Zone and Targeted data, our player projections are trusted for accuracy. We post these weekly rankings based on player and opposing team attributes. Track up to 12 fantasy teams, player tracker lets you select your team players allowing Fantistics to rank and offer weekly projections on your players. Our Waiver Wire Recommendations help you manage your roster throughout the season. Daily Injury & Player Status Insider Reports - Our Player Tracker pages, track and report all of your player news stories on one convenient page (with as many as 12 different teams). Included is our recommendations, projections, and Strength of Schedule your player's next game. 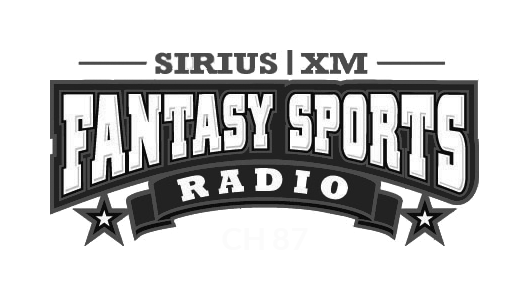 Our Injury & Player Status Insider Reports (which includes updates on all players) will keep you caught up daily with valuable fantasy football analysis. Our Sunday Morning Informant is inside player information which comes directly from the pre-game activities conducted within NFL stadiums across the country. 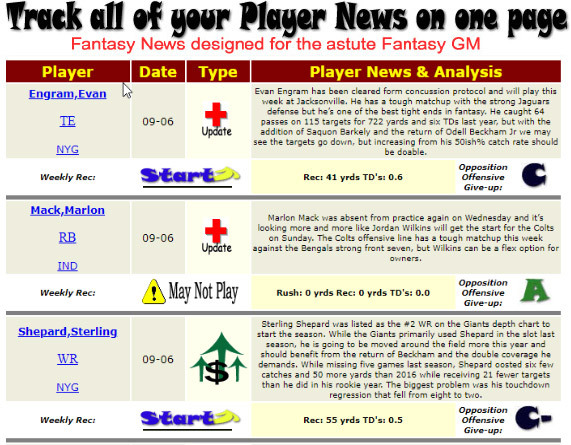 These player status alerts are emailed out to subscribers every Sunday morning. Need to know who has the easiest and toughest remaining schedule? Each week we rank the remaining schedule for all the NFL starters and rate the opposition's defensive strength based on both Passing & Rushing criteria. The Matchup Matrix rates the quality of the team defenses that your fantasy players are starting against. Higher ratings indicate an increased probability that the player will have a big week and conversely, the lower the number, the lower the expectations. Our exclusive Red Zone databases highlights the players that are receiving opportunities in the Red Zone and those that are capitalizing on these opportunities. Our Targeted and Snap count data helps fantasy GMs assess which players are seeing opportunities, which often translates to finding value outside of the traditional fantasy points scoring. Register Today and start Dominating! © Copyright 2018 Fantistic Technologies Incorporated, All Right Reserved.